It goes without saying that the need for translation in the United States today in abundant. This is especially the case for the English-Spanish/Spanish to English translation market. With over 45 million Spanish speakers in America today, it’s not very difficult to see the reason for such a demand. Mexico Business Associates offers translation services not just for companies and individuals wanting to do business south of the border, but for anyone essentially in the global market in need of an English to Spanish or Spanish to English translation. The good news for translation in Mexico is that you might be surprised with the price you get as well as the final product. As with all goods and services, when in search of translation and interpretation services, you are most likely to search for some type of equilibrium amongst two things: price and quality. You certainly don’t want to sacrifice price for quality. Bad translations happen every day. The instances in which I have personally seen more bad translations than any other are without question Mandarin to English by the part of Chinese suppliers. These translations of Chinese made product manuals as well as trade show brochures and information can often be very poor. I’ve never understood why these Chinese suppliers don’t invest in professional translation services. I assume that they are too expensive for their budgets. For me personally, I wouldn’t be caught dead at a Mexican trade show, or a trade show anywhere, or in any other way marketing a product in a market without texts translated perfectly into the local language. 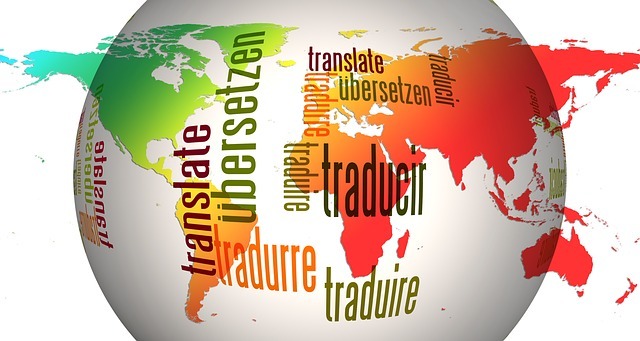 Whether you’re translating a local restaurant menu from English to Spanish to further serve your Latin clientele, or if you need your marketing literature translated into Spanish to attack Latin American markets, having excellent, well flowing translations for your target market portrays the seriousness of your firm. Translations in general are not cheap services. But this doesn’t mean that you can’t get a good price for solid translation work. The good news is that when looking for a sound price matched with high quality, we can often be of benefit to American and other foreign clients. Because we do most of our translation work in Mexico, we usually tend to be able to beat American market prices. This is common sense as the market value for a translation is far less in a middle-income country such as Mexico when compared to a developed country such as the United States. Although we can be cheaper, this doesn’t mean that we sacrifice quality. All of our translators with whom we chose to work have years, if not decades of translating experience from English to Spanish and/or Spanish to English. Furthermore, most of our translators have specializations (more about this in a later blog post) in specific fields that can be essential when certain types of translations get too technical. Finally like any good translator or translation service, our goal is for the final text to flow as if it was written naturally into the newly translated language. For this reason, all good translators must of course translate not just word for word, but concepts and ideas (more on this later as well).